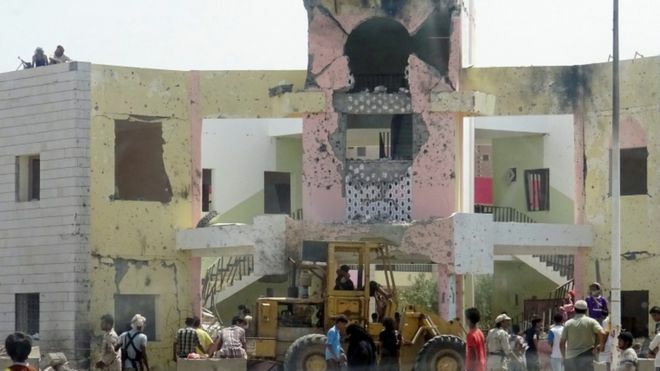 A suicide bomber drove a car bomb into a military compound in Aden, Yemen, killing at least 54 people, according to reports. Yemen’s health ministry told Reuters that at least 67 other people were injured in the attack. The suicide bomber followed in a truck that was carrying breakfast to the students, and they were all in line waiting to receive the food. ISIS released a statement on through its private news agency, saying that the suicide bomber was from ISIS. Yemen has been in a 17-month war between rebels and their Saudi-backed government that’s left 6,600 people dead and 2.5 million people displaced, according to the UN. This was one of the deadliest attacks by ISIS in the southern city.